Two women examine a soil sample in the background photo of the 'Soil Matters' field day flyer.. 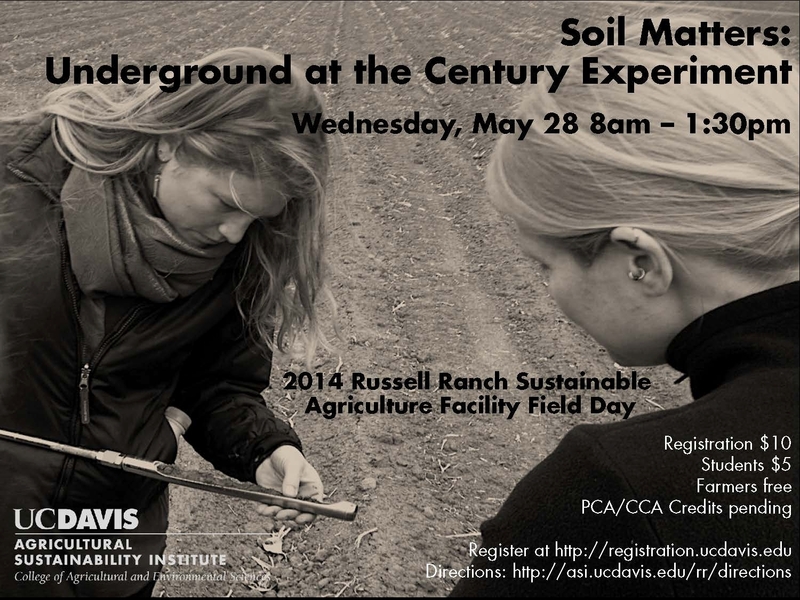 It's not every day that you can take a guided tour of a 100-year-long scientific experiment, but that's what is happening May 28 as UC Davis hosts a field day at the Russell Ranch Sustainable Agriculture Facility. The 72-acre “Century Experiment” at Russell Ranch is exploring the long-term impacts of crop rotation, farming systems, and inputs of water, nitrogen, carbon, and other elements on agricultural sustainability. Researchers document trends affecting crop yields, soil quality, profitability, environmental impacts, and efficiency in use of limited resources. The program gets underway at 8:00 a.m. with welcoming remarks, followed by a tour of research sites from the comfort of hay-bale wagons. Presentations move indoors to the barn at 10:30 a.m. A growers' panel discussion follows lunch. The program wraps up at 1:30 p.m. Registration is $10 ($5 for students, free for farmers) and can be made online through May 26. Russell Ranch is located approximately six miles west of the main UC Davis campus. Russell Ranch, part of the Agricultural Sustainability Institute in the College of Agricultural and Environmental Sciences, is a unique 1,500-acre facility with more than 300-acres dedicated to the study of dry-land agriculture in a Mediterranean climate. The crops grown there — tomatoes, corn and wheat — are the same crops grown in the region. 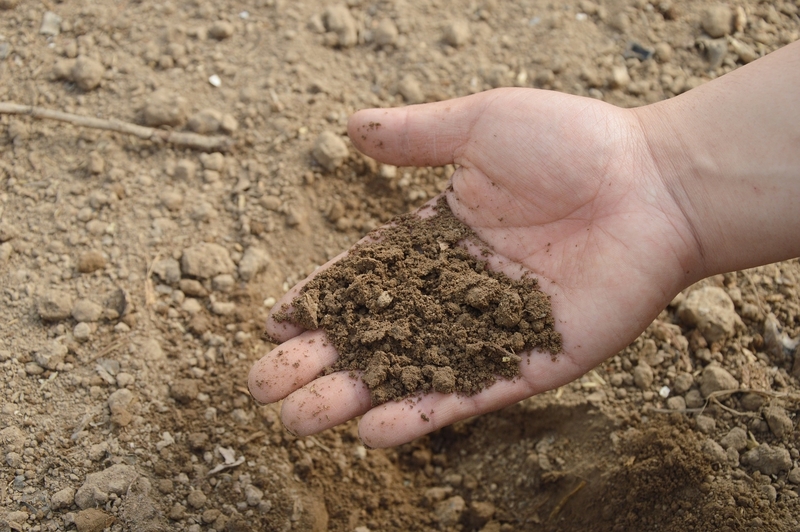 Researchers have monitored changes in crop and soil properties, greenhouse gas emissions, weed ecology, and economic indicators there since 1993. 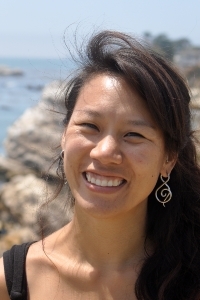 Among research highlights, scientists have shown that cover-cropped systems can be managed to store water in the soil, tomatoes grown with subsurface drip irrigation use less water and less nitrous oxide emissions, and the concentration of antioxidant compounds are higher in organic than conventional tomatoes. For additional information about the field day, contact Emma Torbert at eetorbert@ucdavis.edu or (530) 752-5208.